The exceptionally ergonomic luxating instruments, LM-LiftOut and LM-SlimLift, allow extraction to be done as atraumatically as possible. This is important to enable rapid healing and future implant placement. The robust LM-TwistOut elevators work best when more force and torque are needed. 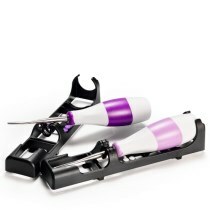 The light-weight and well-balanced ergonomic design make these instruments comfortable to hold and easy to rotate. The secure LM-ErgoTouch surface provides a good, non-slip grip. The LM-DuraGradeMAX™ supersteel guarantees strong and sharp blades. All instruments sold in sterilizable cassettes that can be color-coded. Cassette is also sold separately. Keep your instruments sharp with the Sharpening Stone. The tip of the instrument is introduced into the periodontal space and slowly advanced toward the apex of the root while moving the instrument gently back and forth. LiftOut is not suitable for use as an elevator. The SlimLift instruments are designed to reach very narrow spaces. 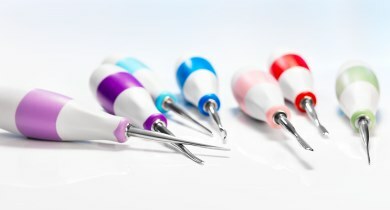 The extremely slim tip of the instrument is introduced into the very narrow periodontal space and slowly advanced toward the apex of the root while turning the instrument gently back and forth. SlimLift is not suitable for use as an elevator. 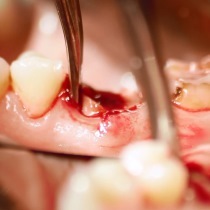 Designed for extractions where strong force, torque or twist must be applied. 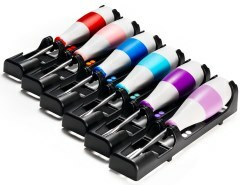 Designed for delicate root tip teasing procedures. Great handle ergonomics for secure grip and maximum control. Extremely delicate instrument. For removal of root tips in difficult-to-reach areas. Extra sterilizable cassette. Can be color-coded. Keep your instruments sharp with this round sharpening stone.